The Great Yarmouth Haven Rotary Club has embarked upon an initiative to provide every Year 4 pupil in Great Yarmouth with the ‘Usbourne Illustrated Dictionary’ by May 2015. The education of children in the local community is a key priority for Rotary and it is seeking sponsorship from local businesses or individuals to raise sufficient funding for the project. East Anglian accountancy firm, Aston Shaw was the first local business to show their support for the scheme and have pledged to sponsor 100 dictionaries. The ‘Rotary Dictionary 4 Life Literacy Project’ has been initiated in an effort to ensure that children in the Great Yarmouth area are not at a disadvantage and are given both the opportunity and the encouragement to improve their literacy skills at a young age. In order to achieve the required level of donations to supply each pupil in the area, the Great Yarmouth Haven Rotary will be part funding this project but will need financial support in an effort to reach our goal of £3500 by December 2014. Rotarian Robert Lovick who is a member of the Vocational Committee and a representative of the District Committee has been monitoring this project since its inception and is very passionate about this project and the benefits that the Dictionaries would bring to the education of our local children. This initiative has been embraced by all the three Rotary Clubs in Lowestoft for the past 3 years and the benefits to the children are are now being evaluated and the early findings are very encouraging. 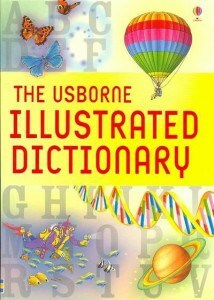 The Usbourne Illustrated Dictionaries include 10,000 illustrations, 10,000 entries and 20,000 definitions printed in full colour, which encourages children to explore spelling, meanings and derivations as well as referencing modern vocabulary suited to the internet age. Research by the UEA has shown that a dictionary is an indispensible tool to facilitate a Year 4 child’s learning at this critical moment in their education and a key to their future academic success.